ZAMBIA-BASED Zimbabwean boxer Charles Manyuchi on Friday night defeated Russia’s Dmitry Mikhaylenko to become the new World Boxing Council Silverweight champion in what was seen as a huge upset for Moscow. Manyuchi won via a 116-114, 118-110, 115-113 unanimous decision by the judges during the fight which was over 12 rounds at the DIVS Arena in Yekaterinburg city, Russia. Manyuchi is now the New WBC Silver Welterweight Champion a belt once held by Amir Khan of Britain. Boxing pundits believe the win has now put Manyuchi’s name in the annals of both Zambia’s and Zimbabwe’s boxing world. This could take him to the bright lights of Las Vegas or the wonderful Wembley for bigger bouts as his stable mate Catherine Phiri has done. 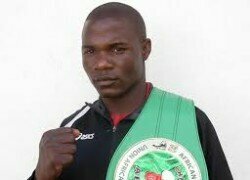 The win by Manyuchi, according to ZNBC has elated his trainers Oriental Quarries Boxing Promotions of Lusaka. Manyuchi’s Manager Christopher Malunga described the results as a major boost for boxing and Oriental Quarries Boxing Promotions in particular. Manyuchi only started training a few months ago after having broken his relationship with Oriental Quarries. Thanks for the intervention of Zimbabwe’s Sports Minister Makhosini Hlongwane who made it possible for the boxer to return to Lusaka. Meanwhile, Malunga said Russia-based Chipolopolo star Chisamba Lungu visited Manyuchi ahead of the title bout to encourage the boxer.